This is a refurbished Mavic Pro from the DJI factory. 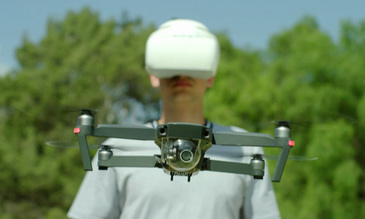 It has been thoroughly tested and inspected by a DJI technician. 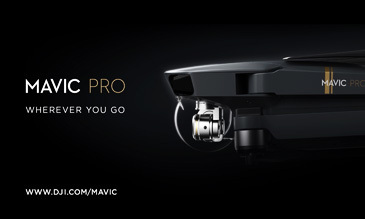 As a result, you can purchase a Mavic Pro that looks and performs like new for a fraction of the price. This is a refurbished Mavic Pro from the DJI factory. Refurbished units have been returned to DJI for various reasons, often simply because of a damaged box. It has been thoroughly tested and inspected by a DJI technician. 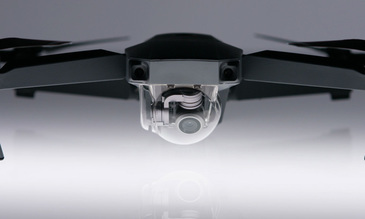 As a result, you can purchase a Mavic Pro that looks and performs like new for a fraction of the price. Our team have found that the reliability and performance of a refurbished product is identical to that of a brand-new model - you won't be able to tell the difference! We have limited stock of refurbished models available - once these are sold we will won't be receiving any more refurbished models. This model comes with a full DJI warranty and brand new batteries. The Mavic is only 1/6th the size of the Phantom 4 but this reduction in size doesn't mean a reduction in flight time. It reaches a maximum flight time of 27 minutes and a maximum distance of 8mi (13km) due to its powerful, high-efficiency motors. 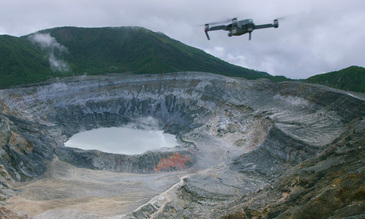 The Mavic’s 12-megapixel camera with Adobe DNG RAW support is ready to take beautiful pictures at altitude. You don’t need a film crew when you fly the Mavic, all you need is ActiveTrack. Just tell it who to track and it handles the rest, making you shoot like a pro. Take selfies like you’ve never seen before with Mavic’s Gesture Mode. With the Mavic in the air and pointing at you, a gesture is all it takes to snap a photo. If you are lining up a photo or flying indoors, you don’t want to be flying too fast. Flip on Tripod Mode and every move the Mavic makes becomes slow and precise. Beginner pilots often have trouble flying in a straight line because they aren’t familiar with joysticks, this makes shooting smooth video tricky. TapFly means you can just tap where you want to go and the Mavic will fly smoothly in that direction, so you can focus on controlling the gimbal and capturing photos and video. Dual Remote Controller Mode makes it fun and easy to fly the Mavic and film aerial footage collaboratively. Both Master and Slave remote controllers can control the aircraft and gimbal, but the master remote controller has priority. A more experienced pilot can use the Master remote controller to override a less experienced pilot for better safety. On a drone, the most likely source of a problem is a sensor not working exactly as it should. This is why the Mavic has two of each key sensor. If one stops working, the other takes its place. Stay at the same level height above the ground automatically. You don’t have to worry about flying too low as the Mavic will keep you at an optimal height over uneven terrain. The Mavic’s Intelligent Flight Batteries give it a flight time of up to 27 minutes, allowing you to check battery level and status during real-time during a flight through the DJI GO 4 app. It also calculates remaining flight time, helping pilots fly more safely.